Making beautiful, hand-crafted wood items to sell is an extremely creative and rewarding way to make money. Naturally, like any art or craft project, some woodworking creations sell better than others. 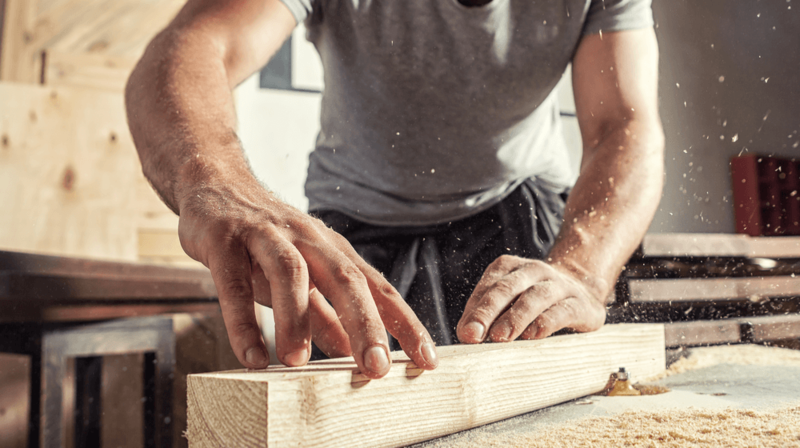 If you’re determined to turn your creative, woodworking skills into profit, take a look at the following 14 most profitable woodworking projects to build and sell. Unlike many of their plastic counterparts, wooden toys can withstand the test of time. Not only do they possess longevity, but toys made of wood look fabulous in nurseries and children’s bedrooms, hence these quirky items will always be sought-after. Put your best woodworking hat on and start making wooden dolls, puppets, train sets and more – the perfect gift for a child at Christmas. Rustic coat racks made from wood make a striking feature on the wall of any home. These desirable home accessories are also easy to build requiring little more than some chunky wooden, nails and wrought iron hangers, making them a super profitable woodworking project. Fruit bowls are a ubiquitous feature in almost every household, providing an eye-catching and practical feature in kitchens and dining rooms. These household accessory staples look even more striking when made from real wood. Whether they’re made from a solid piece of wood or from fragmented pieces, fruit bowls are a sought-after item for the home and are therefore a profitable woodworking project. Wooden picture frames are easy to make and can be made to look unique by the decoration, color and embellishments you add to the wooden frame. Wooden picture frames will always be in demand and being inexpensive to make, are a profitable woodwork project to embark on. Wood is a great material for robust and eye-catching plant boxes, which make a great addition to patios, terraces, gardens and even indoors. These simple-to-make and sought-after items are one of the most inexpensive and profitable woodburning projects you can get involved in. It’s hard to resist a piece of bespoke, handmade wooden furniture that provides a robust, lasting and practical feature in the home. From coffee tables made from pine to wardrobes in mahogany, set yourself a rewarding and profitable woodworking project making beautiful pieces of furniture. Spoons, knives, forks and other utensils made out of wood don’t just look great and can be used solely as ornamental pieces, but they can be functional features in the kitchen and dining room, conducting heat more efficiently than metal utensils. Capitalize on the unique properties of wooden utensils by making your own exclusive and highly profitable knives, forks and spoons made from wood. Corner wall shelves that are made from chunky wooden pieces provide a unique feature in both traditional and contemporary homes. These woodworking projects are fun to try and, other than the wood and glue, cost next to nothing, meaning you can sell your creative inventions for a tidy profit. Birdhouses look fantastic when they are made from a high-quality wood and they aren’t as difficult to make as you might have thought. Start knocking together redwood, cedar, pine or cypress and you’ll have a desirable product bird-enthusiasts will want to buy from you. Wooden pallet Christmas trees are incredibly easy to make and can be sold for a tidy profit for those seeking a quirky alternative to a real Christmas tree. Simply build your tree by placing pieces of pallet wood on top of one another and add some pretty Christmas decorations for a creative woodwork project you can sell for a profit. Like coat hangers but on a smaller scale, coffee cup racks are easy items to make from wood and make superb Christmas and birthday presents for anyone who loves unusual and quirky items in their home. These desirable kitchen items don’t take long to make and are inexpensive, making wooden coffee cup racks profitable woodworking projects. Dog beds can be expensive and for dog owners looking for an alternative to plastic beds, ones made from wood could prove attractive. These sturdy, comfortable and attractive beds for dogs aren’t difficult or expensive to construct, making them a profitable woodworking project to build and sell. Put your artistic woodworking skills to best use by working on beautiful, handmade, rustic headboards made from stunning wood. Such pieces of furniture make a great addition to a bedroom and will always be in demand, making them a lucrative woodwork project to embark on. Wine racks made from wood are not only sturdy, but they look great in the home. These desirable items are neither expensive nor difficult to build and can be sold for a nice profit for wine-lovers looking for an eye-catching and robust place to store their bottles. 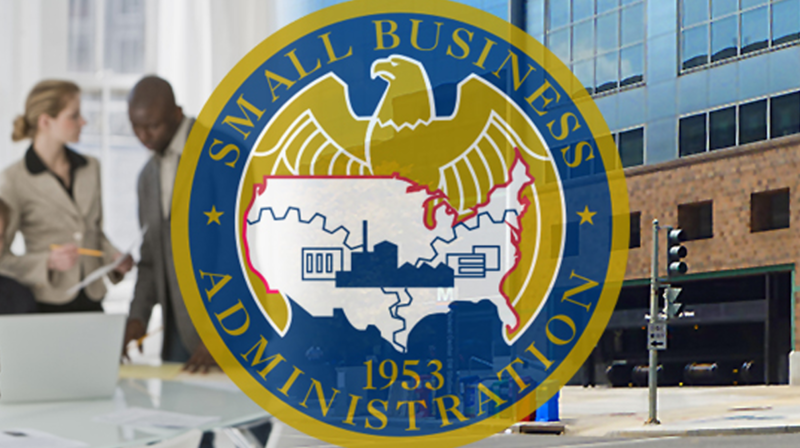 The Small Business Administration (SBA) wants you to find the right mentor as you move forward in your entrepreneurial journey. To that end, the SBA will be holding a chat on Twitter to celebrate National Mentoring Month in January. On January 10, 2019, you can log on to Twitter at #SBAchat at 3 pm ET and participate in the event. The agency says the chat is going to provide valuable information for established small business owners or those just getting started. This includes sharing tips and resources to help entrepreneurs succeed by highlighting the benefits of having mentors. You can click on the red button and go to the SBA’s Twitter chat page. While you are there, don’t forget to add the chat to your calendar. Online selling is currently a trend that you may want to catch up on. Numerous sellers and retailers who began early are now reaping the benefits of online selling. Nowadays, it’s no longer enough to be on eBay or Etsy to have a successful online shop. There is a plethora of stores on these mainstream websites. Therefore, it can be challenging for customers to find your product. The trick is to locate other online selling platforms that can provide your product great exposure. Here are five tips for becoming successful with online selling. As an online seller, you need to be clear on what product category you’re going into. Then focus just on that. Refrain from having too many different and unrelated products in your shop. This will only confuse your customers. Instead, create your online shop so that it has a uniform theme and feel. On the Internet, there is a vast array of products and shops for consumers to choose from. To fare well in the ecommerce industry, you need to be selling something that is unique. In other words, you need a product that stands out from the competition. This could be in terms of price, product features, or promotion. For instance, if you want to champion in price, you can provide a high-quality product without charging an arm and a leg for it. For product features, you can add a few features to your product to make it more interesting. Promotion and marketing play a significant role in making sure your product flies. To learn more about how to improve your marketing strategy, head to journal-reviews for some pro tips. Affiliate e-commerce marketing is a partnership between an established e-commerce platform and an online shop. In this arrangement, the e-commerce platform helps the start-up online shop by promoting its products to customers. In exchange, the affiliate gets a percentage of sales generated from the platform. With this option, you don’t need to make any upfront payment. That’s because affiliates are paid via commissions. This makes it really convenient for the seller. However, you need to find an affiliate network that goes well with your product genre or niche. Moreover, you have to find an affiliate who has an audience that is made up of your potential customers. Affiliate networks also provide you with a tracking system. 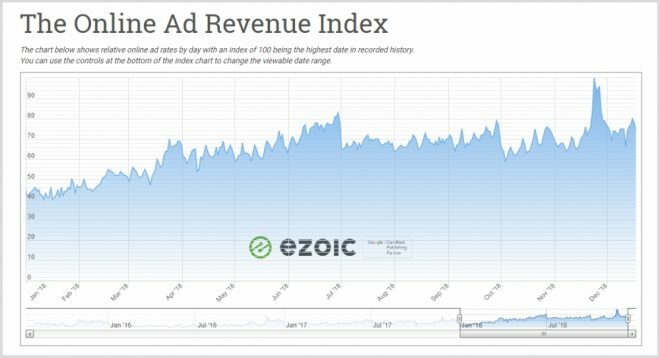 This makes it easier to track how much sales are generated from which marketing tactics. Service plays a significant role in influencing a buyer following. Because you don’t have a physical store, your online store’s service needs to be excellent. Only in this way will you attract a high customer following. Offer free delivery for a minimum purchase. Automate the delivery process so users can track the shipment. Provide different payment options such as cash on delivery, PayPal, credit card, and others. Allow same-day delivery in select cities. Have a user-friendly interface on your e-commerce shop. Make a simple check-out process. Keep the buying process short with as few steps as possible. Provide easy navigation in your online store. Establish good communication with your customers. That is, ensure quick and efficient responses to online messages. And address all buyers’ concerns as quickly as you can. Word about poor communication in your store can spread quickly on the Internet. Moreover, this can affect your online selling business. Therefore, strive to provide the best possible service. In this way, you’ll get good feedback and reviews in your online store. Consequently, you will increase your credibility among your customers. This can only lead to more online selling. Lastly, provide an aesthetically engaging website design. When your customers visit your website, especially for the first time, you need to captivate and capture their interest immediately. Additionally, visual appearance is also a very important factor that buyers consider in judging whether or not your store is legitimate or if they should make a purchase. To become successful with online selling, you need to have good e-commerce affiliates and provide high-quality products, competitive pricing, and exceptional customer service. Whether your store is online or a brick-and-mortar one, following these tips will guide you to have a successful business. It might take a lot of time, work, and investment, but it will all be worth it in the end. We don’t aim to read the tea leaves here, but it’s hard not to speculate. 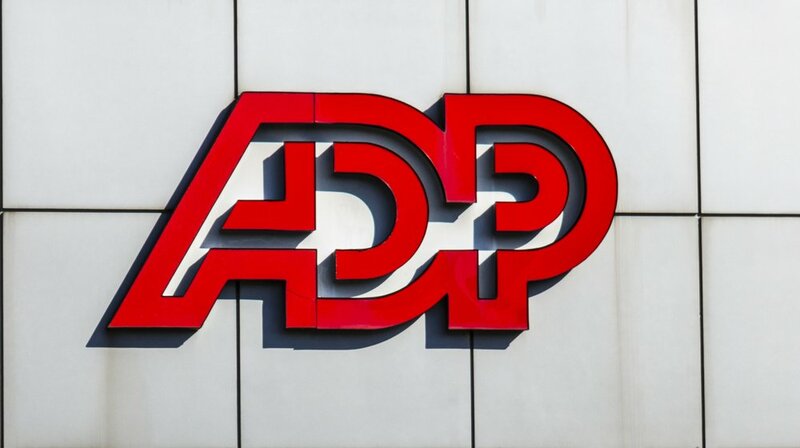 This week, we reported on the most recent employment numbers from ADP. In the small business sector, 46,000 jobs were added in November 2018. Franchise businesses added 11,500 jobs in the same time. Those are both healthy figures. And any new job added to the economy is a victory on its own. But check out this other data from the 2018 Bank Of America Small Business Owner Report. It says 82% of small businesses are struggling to find the right talent for open jobs. So, if you think about that alongside that new jobs data, you start to wonder: how long will it be before many of those new hires are replaced? That’s just some of the news this holiday week. In the new year, let’s hope those jobs numbers keep going up and that small business owners get better at making hiring decisions. 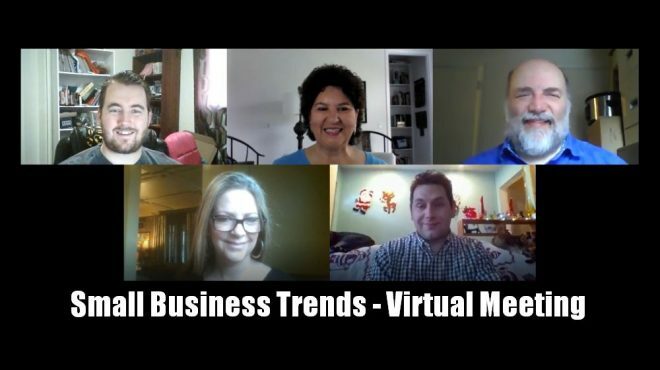 Until then, check out the rest of the week in small business news in our weekly roundup below. When it comes to search, Google has no equal, but the company just doesn’t seem to get messaging right. The shutting down of Allo two years after it was announced at I/O 2016 is the latest example. Allo App is Shutting Down Google officially announced it is shutting down Allo after pausing further investment in the app earlier this year. In 2019, the top performing content marketing teams will have expert knowledge in marketing technology. That’s not a bold prediction – it’s the results of CMI’s latest benchmark report surveying the content marketing industry. But it’s important to also note that those top performing marketers aren’t using technology to simply put their marketing on autopilot. Small and big banks, institutional and alternative lenders, and credit unions have been approving more small business loans in the past couple of years. However, your credit score will greatly determine the terms on which you will be getting the loan, this according to a new report by Fundera. This can mean getting up to 20 times more funding if you have a creditworthy business. 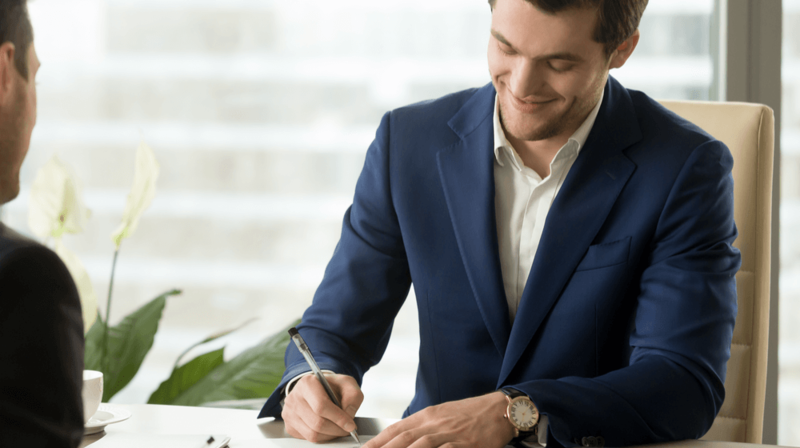 With the 2019 tax season fast approaching, you may be looking for an easier way to file your small business tax return. Anchor Bookkeeping looks to solve this problem by offering a new digital accounting service with personalized features including in-house bookkeepers and CPA-approved financial statements. Facebook is the world’s most popular social network. So businesses should pay constant attention to the platform and its changing features. This year, the social media giant saw many updates that could impact small business users. 2018 Facebook Trends Here are the statistics and headlines that you should be aware of. Facebook Popularity Facebook has more than 2. There was much excitement back in 2017 when a C64 Mini got announced. However, the version that hit store shelves wasn’t without its problems, most notably the poor joystick. It did include 64 games and could run BASIC, but the keyboard didn’t function meaning you needed to plug another one in to type. An almost great release then, but not the end of the story. Retro Games Ltd., who gave us the C64 Mini, this week revealed we’re getting a follow-up device. This time it’s a full-size Commodore 64 complete with a working keyboard! On Christmas Eve, the first photos of a working prototype were posted on Facebook. The images reveal an early version of the Commodore 64 direct from the manufacture and “small modifications” are likely. There is no release date yet beyond 2019, but with the pre-production prototype already created it will hopefully appear before the summer. Retro Games isn’t revealing the final spec just yet, but I’m confident they will have taken into account all the complaints and feedback received about the C64 Mini. It’s also pointed out in the Facebook post how much the Mini has been improved by recent firmware updates. At the very least that shows they are listening, which bodes well for the full-size Commodore 64. For now, the C64 Mini can be picked up for just $50. As the next model is much larger and includes a functioning keyboard I expect it to cost more than the $79.99 price point the Mini launched at. If they can keep the price below $100 then it should do well and entice many Mini owners to make the upgrade. If you opened up Instagram today and found that your timeline orientation was totally switched, you weren’t alone. It appears that quite a few users had a timeline that moved left to right, where posts could be tapped through as they can be in stories. When the new timeline appeared, Instagram surfaced a notice that said, “Introducing a New Way to Move Through Posts,” and told users to tap through to see their posts. However, it seems that this may have been another short test rather than a permanent change to Instagram’s feed. Rumors about such a move circulated in October, though at the time it looked like the feature would be limited to the Explore tab. “We’re always testing ways to improve the experience on Instagram and bring you closer to the people and things you love,” a spokesperson told TechCrunch in October. And they added that introducing the change into the main feed wasn’t something the company was actively considering at that point. It’s unclear just how many people had the new feed, but the Independent reported that Instagram users around the world had received it. And many spoke out online about the change. Hey, @instagram… I never want to sideways-scroll through my timeline. Ever. Please stop testing this “feature” on my account. Thanks. A number of us at Engadget had the new feed orientation as well, though for some people, the new feature didn’t reach all of their accounts. And for at least one of our editors, their feed switched back and forth between the new view and the standard view. It seems this update was another quick test that Instagram has already concluded. We’ve reached out to Instagram for more information and we’ll update this post when we know more. Update, 12/27/18, 11:08 AM ET: This story’s headline and copy have been updated to reflect that this may be another short-term test instead of a permanent change. Update, 12/27/18, 11:20 AM ET: Adam Mosseri, head of Instagram, tweeted today that the sideways scroll feature was supposed to just be a small-scale test, but the company accidentally extended it to more users than it intended to. If you still have the sideways scroll and you want to revert back to the normal view, just restart the app. We’ve updated this story’s headline and copy to reflect this information. Small and big banks, institutional and alternative lenders, and credit unions have been approving more small business loans in the past couple of years. However, your credit score will greatly determine the terms on which you will be getting the loan, this according to a new report by Fundera. This can mean getting up to 20 times more funding if you have a creditworthy business. The report called “Good Credit vs. Bad Credit: The Big Business Loan Divide” looks at original data from Fundera along with information from the U.S. Small Business Administration. Fundera then compared loan terms, loan amount, interest rates, and repayment schedule to determine business owners with the most and least creditworthiness. She goes on to say, “But it’s more important than that. It can mean a difference of thousands of dollars in initial access and thousands of dollars to your bottom line.” For businesses with less than stellar credit scores, this comes out to tens of thousands of dollars. There are two glaring disparities between creditworthy and least creditworthy borrowers in the report. The first one is the amount which creditworthy businesses can get compared to their counterparts. The report says creditworthy borrowers get an average loan amount of $423,129, and it goes all the way down to $20,250 for those with the least creditworthy businesses. When it comes to the interest rate, the numbers are even more dramatic. The average creditworthy borrower received an interest rate of 7.27% and their counterparts were assessed an interest rate of a whopping 67.88%. In order to appreciate this difference and impact the interest rates have on a business, Fundera shows just how much each side would pay for a three-year $100,000 loan. The business getting 7.27% interest rate would pay the lender a total of $111,603, meaning the loan would cost this business $11,603. On the other hand, the business with the 67.88% interest rate would pay $136,227 just for the loan, which brings the grand total to $236,227. The length of repayment is also just as bad if a business is not creditworthy. While the creditworthy business gets an average repayment term of 16 years, those who aren’t creditworthy average just eight months to repay their loan. The less creditworthy businesses also have to contend with weekly or daily payment frequency in order to meet the terms of the loan. What this means for the less creditworthy businesses is they will need strong cash flow in order to stay afloat and make the payments. As Fundera points out, 82% of business failures can be attributed to cash flow problems. The good news is you can improve your business credit. According to Fundera, which specializes in helping small businesses identify the best-fit for financial products, improving your credit by 50 to 100 points might mean delaying your search for financing by a few months. It goes on to say the payoff will definitely be worth it. As the report points out, these are tens of thousands of dollars which you can best use to grow your business instead of paying a lender in interest rates.